Bosses at a Shropshire architectural design studio are celebrating after scooping a second county design and conservation award. 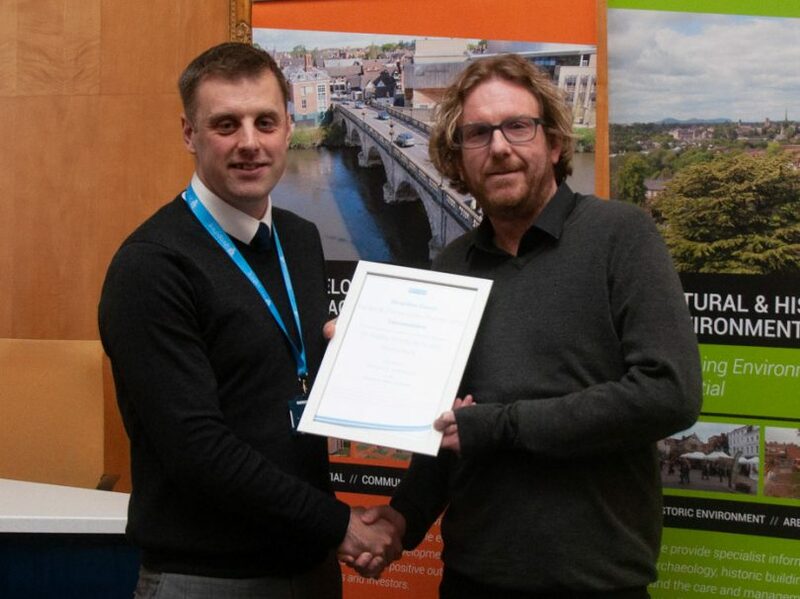 Craig Marston, founder and director of Ke-Design with offices in Oswestry and Shrewsbury won the award at the Shropshire Council Design and Conservation Award. This year’s awards saw Ke-Design receive a commendation in the Domestic Extension category, for a modern timber clad rear house extension in Belle Vue, Shrewsbury. Ian Kilby, head of Shropshire Council’s planning department, praised Ke-Design’s team for the design of the two-storey extension, where the design included open plan kitchen/dining and living as well as a master bedroom with ensuite. Mr Marston added: “Much of the credit goes to the client who bought the property in a poor state after it been empty for 10 years. “Following a recommendation, they initially approached Ke-design for a modern single storey extension to the three-bedroom semi-detached property, but with the client having just had twin boys we suggested that the third bedroom wouldn’t be sufficient. “We proposed that if the client changed the plans to a two-storey on part of the extension they would be able to get a much needed master bedroom, with ensuite, overlooking their rear garden. Mr Marston said it had become the most complimented project on his firm’s social media. “We hope to inspire people who are extending their homes, and if it’s done well it doesn’t have to match the existing,” he added. Ke-Design has enjoyed another record-breaking year with an increase in the number of clients searching for high quality design. This comes after Ke-Design exhibited at two home shows, which they will be doing again this year. Ke-design is exhibiting at Build It Live, Manchester on February 23 and 24 as well as the national Homebuilding & Renovating Show being held in Birmingham from March 28 to 31.